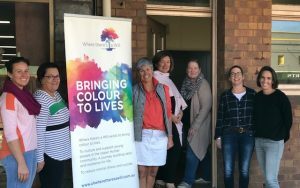 The Where there’s a Will Foundation has this week been handed the keys to their very own office space thanks to the generosity of Scone businessman Paul Boniface who says greater education about mental health is essential. “I’ve seen too many people suffering, too many people taking their lives. It can be very hard to pick up on depression and then to get people to talk and open up,” Mr Boniface said. “Where there’s a Will is working hard to change this and I’m really pleased to be able to offer them a base. Mr Boniface’s generosity has been welcomed by Where there’s a Will’s team of volunteers. “Up until this point we’ve been meeting around kitchen tables and taking over coffee shops so it’s a huge help to have a central point where we can work, host meetings and store all our gear,” said founder Pauline Carrigan. In other news for Where there’s a Will, Jane Callinan has been appointed Chairman of the Board and she’s been joined by two new Directors – retired school principal Lindy Hunt and businessman Andrew Parry-Okeden. Callinan brings a wealth of business acumen from the banking and management consulting sectors to the organisation and she has thanked outgoing Chairman Jason Brooks. 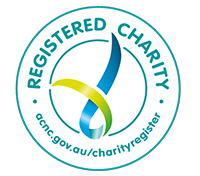 “Jason played an important role in the establishment of Where there’s a Will as a charity dedicated to improving mental health and wellbeing in the Upper Hunter. We’ve been able to achieve a great deal in a short space of time thanks to his commitment and we thank him for his contributions,” Ms Callinan said.